You are here: Home » Blogging » What Is Escrow? If you’re buying a Loft, you are going to come across this word many times during the process – escrow. If you’re a first time Loft buyer, you may have no idea what it means. Even if you have bought a Loft in the past, escrow may still be something you find confusing. Although it can be a scary-sounding word, it’s not nearly as worrisome as it sounds. First of all, let’s define what escrow actually is. 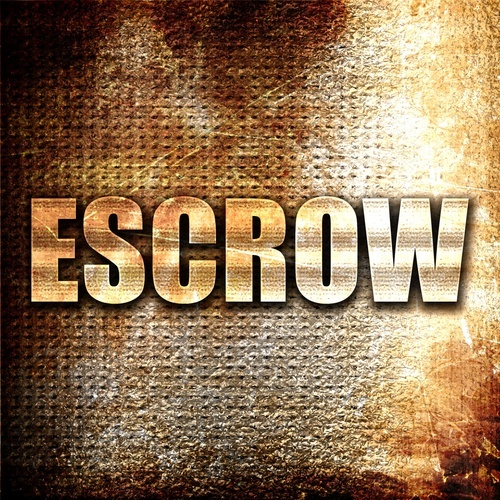 To put it simply, escrow is a financial arrangement where an impartial third party holds something of value in a transaction between two other parties. In this case, the “something of value” is usually a buyer’s earnest money check, which would be written when an offer is placed on a Loft. The check remains in escrow while the terms of the deal are negotiated, and neither the buyer nor the seller can access it. The main purpose of escrow is to protect all parties by making sure that all conditions of an agreement have been met before any money or property changes hands. As each step of the closing process is completed, paperwork and documents are filed with the escrow agent. This could include documentation that repairs have been made, reports from the Loft inspection, and paperwork regarding other tasks that were agreed to by both parties. Once each step is completed, either the buyer or seller signs a contingency release form so that the transaction can move forward to the next step. Escrow is an arrangement that is created to protect both parties involved in the sale of a Loft. Escrow protects buyers by making sure sellers don’t receive any money until all aspects of the deal have been satisfied, including needed repairs that were agreed upon. On the flipside, escrow protects sellers in case buyers decide to back out of the deal without a legitimate reason. In this case, the sellers would be entitled to keep the earnest money check that comes from the buyers when the offer was made – typically, one to two percent of the purchase price. At the end of the process, you will no doubt hear someone talk about “closing of escrow.” This happens when all of the conditions of the transaction are completed, the purchase of the Loft is finalized, and the money is properly disbursed. The escrow agent then clears or records the title, giving the buyers official ownership. Buyers and sellers will then receive a final closing statement in the mail. Check over any documents you receive to make sure they are correct, and contact your agent if you see any errors. While buying a Loft can be a little scary – especially when you hear words or terms you’ve never heard before – don’t let the concept of escrow scare you. As you can see, it’s a straightforward process that protects all the parties involved with the sale of a Loft.